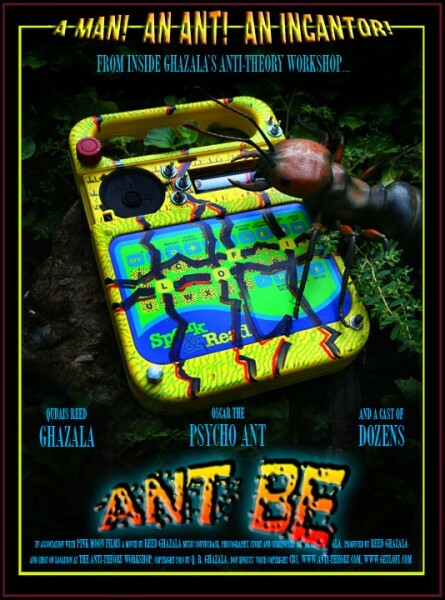 Reed Ghazala also known as the father of Circuit Bending has many artistic outlets. Recent accessibility of quality video editing and HD camera technology allowed Reed to create new experimental movies that he can now easily share with the rest of us. To fully experience these you may want to view the videos in full 1080p HD glory on Reed’s YouTube page or through his Flickr Poster Portal. Reed also wants to encourage people to print the posters and show the films at film nights, festivals, parties, bending workshops, etc. Another bit of information we want to add is regarding Reed’s Build Your Own Alien Instruments Book . If you haven’t checked lately, this book is out of print and according to Reed the publishing partnership was lost and it will NEVER go to into print again. So hang on to your copy and treat it well because as you can see from the Amazon page, some sellers are starting to charge upwards of $100 for a book! However there is also good news. Reed is planning on liquidating some art (including a painting by Toby the dog) and other antiques in his collection through Occult Boa Rave Hut on eBay. So keep an eye out for new items weekly that may include vintage parts, more copies of his book, and Sound Theater cassettes. Enjoy.